The A5 jailbreak tool Greenpois0n Absinthe has been updated to version 0.3, the third release is relatively minor but includes a few bug fixes and adds support for Linux. As before and as the name implies, the app focuses on jailbreaking A5 based hardware only, meaning the iPhone 4S and iPad 2, both of which must be running iOS 5. If you already are jailbroken with the Abinsthe utility, v0.3 offers no advantages to you and does not need to be run again. 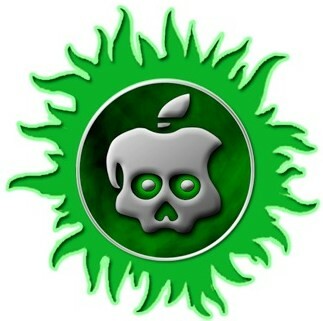 If this is the first time you’ve run the tool, follow our guide on how to jailbreak iPhone 4S or iPad 2 with Absinthe. If you don’t have an iPhone 4S or iPad 2, you can still use redsn0w to jailbreak iOS 5.0.1. Added Linux support. For the 3 iPad users who use Linux. Amazing. Those 3 ipad users on linux trying to update ipad 2 are definitely amazed. You think it wouldn’t be amazing also to see BeOS release? but.. is there REALLY NO differences and rerunning it won’t offer any advantages? I’m only asking this because there is a change in file size and creation date. he stucks at “beginning jailbreak”. I already erased everything and restarted the iphone, but still no results. Could it be that I need to insert simcard? Or is a jailbreak not compatible without simcard? Worked perfectly on my iPad 2. Immediately installed XBMC via Cydia and Open SSH. Installed repos a few min after that and now my iPad is what it should have been out of the gate from Apple. Tremendous! The whole process took about 20 min. If only the G hadn’t shut down Icefilms this would be the perfect a/v portable device. Is anyone else having problems playing YouTube videos since JB? iPhone 4S, occasional forced shutdown of Safari, also major issue, when battery gets below 20-21%, the remaining 20 just disappear in a blink of an eye, unless I respring the device . can i use this in ipad 2 wifi 5.0 9a334? Hi i have an Ipad 2 wifi 64gb i just wanna know is it safe to jailbreak my ipad with absinthe and if something goes wrong is it possible to just restore it and make it normal with a backup on my pc?